What's sweet and needs to be rotated quickly? Honeycombs! Spin honeycombs until you have groups of 3 in this cute matching game.Bee quick! Match up the honeycombs.What's sweet and needs to be rotated quickly? 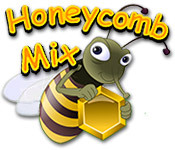 The honeycombs in Honeycomb Mix! 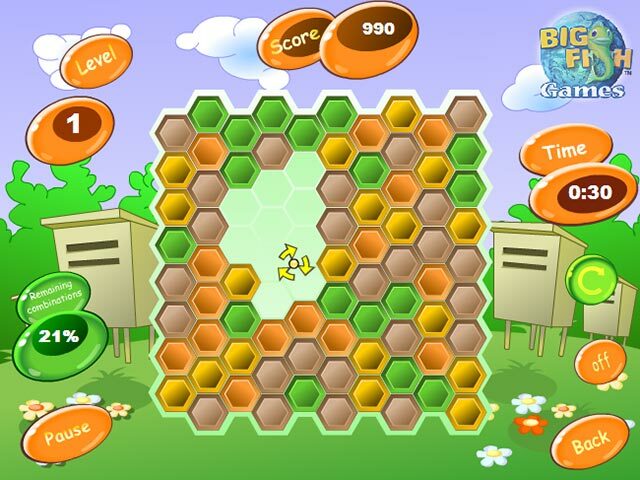 Spin honeycombs to form groups of 3 or more in this cute matching game. Score points for each group you clear. Honeycombs that contain a bee or a flower will give you extra points, but watch out. Some of them can't be rotated. 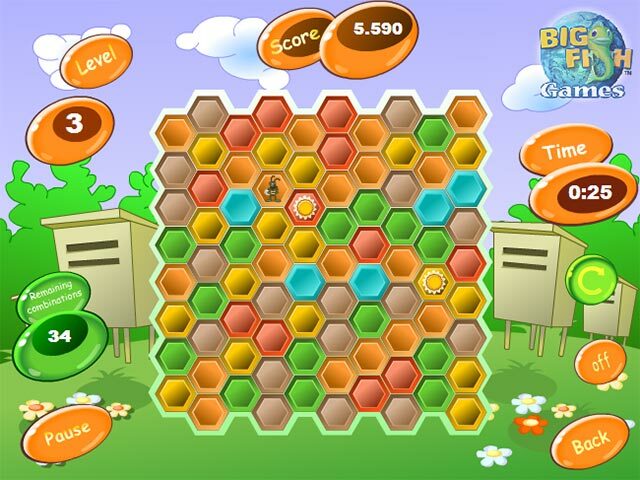 With fun graphics and unusual matching action, Honeycomb Mix will set your brain a-buzz!